STUNNING HIGH BACK CASHMERE ARM CHAIR, OUR NEW LOUNGER IN RED. Comfortable and stylish; Our new high back arm chair made with pleasent and resistable cashmere. 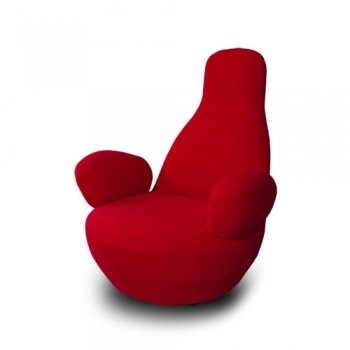 Created for comfortable seating or just for your sculptural interiour design.